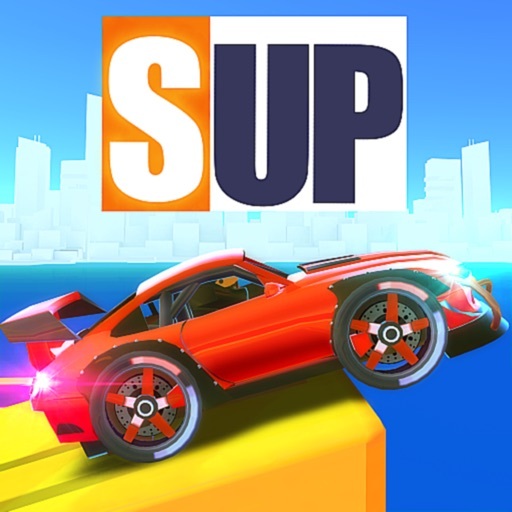 SUP Multiplayer: Race cars App Data & Review - Games - Apps Rankings! The most EXPLOSIVE and FRANTIC multiplayer racing game of all time!! Customize your car, create your own race track and compete with gamers worldwide!! Download now and get EXCLUSIVE REWARDS!! Hot rods, monster trucks, even futuristic… SUP Racing game has a wide selection of amazing cars for you to RACE to the finish and become #1!! 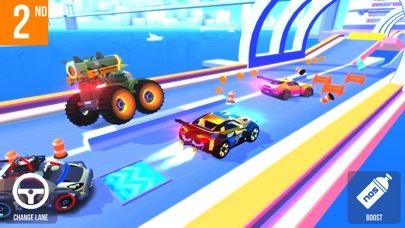 With over a THOUSAND community-created race tracks, DRIVE, WRECK and RULE through hundreds of various obstacles and paths!! The possibilities are ENDLESS!! 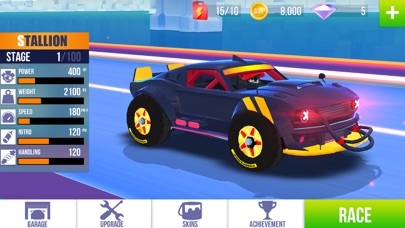 Customize your car to show off to your friends and to the rest of the world! 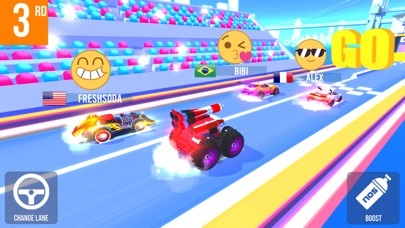 Compete with your friends for the first place in AMAZING, fast-paced, real-time races!! And all for FREE!! 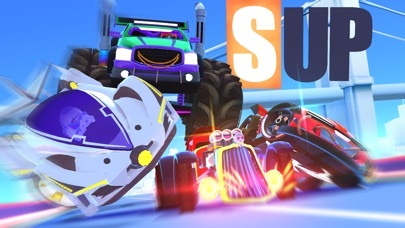 The applications SUP Multiplayer: Race cars was published in the category Games on 2017-05-30 and was developed by Oh BiBi. The file size is 311.85 MB. The current version is 1.9.8 and works well on 9.0 and high ios versions. 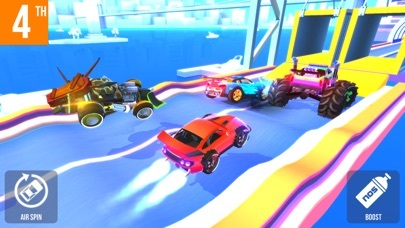 Do you like SUP Multiplayer: Race cars applications? Please share! It should be easier to get fuel and coins. I’m trying to upgrade my car, and I always end up with 1000 coins. When I play, end up with 30 fuel. Each game should reward you more than 500 coins. You should make it a little more exciting, too. Also, break the bank should get some fixes too. So this app is the most boring game ever. It just needs more!!!!! Why is the game even played!!!!! There is too many adds which makes it trash and the face that you put cars that are way higher than you, you can’t win. Plus every race it makes you watch a add to get a prize well guess what, I don’t want a prize so over all this game is trash and maker fix it dang it. DO NOT DOWNLOAD THIS GAMR IT WILL WASTE YOUR SPACE ON YOUR DIVICE BECAUSE THIS GAME IS TRASH!!!!!!!!!!!!!!!!!!!!!!!!! All in all a good game but the game likes to glitch in the most annoying times and has cost me many wins. Videos don't always load so capitalising on prizes and waiting times are limited. Other than that the game is decent. It’s the beeeeeeeeesssssstttttt game !!!!!!! I play this game every day. And it’s awesome! The game is really fun, but the ads are insane. If you win a race, you randomly select a prize but have to watch an ad in order to get anything. There isn’t even a way to decline the prize, so you have to watch the ad. Plus, the races are unfair and are totally judged on who has better cars and who spends more money on the game. I was hooked this game for a couple of weeks now. After the latest update, gameplay was affected and it seems kind of rigged for players who pay a premium on upgrades. Prior to update, I could win 25-50% of the races. Now I can win maybe 10%. Very frustrating and I’m over it. When did the SUP community ever ask for the trophy total to be reduced at the end of games? It used to be if you came in 1st place you get 10 trophies. Now it’s 5 trophies. This was a very bad update. It affects the trophy rush because now every rush our club must heavily rely on boosters every time just to even have a chance to beat the rush total. Sponsor challenges are annoying and very repetitive and still replay hasn’t been put back in the game. Please think about the community and go back to the old trophy reward system. What’s with all of the over-sexualization of the women? This game is supposed to be for kids 4 and up. When you click on a car with a woman driver, her breasts bounce. Why? The developers thought it was funny and didn’t think anyone would notice? What a bunch of perverts! And every one of them, with exception to Grand Ma, is very scantily dressed. We’re still talking about a game targeted for children right? Most of my time playing this game is watching ads. 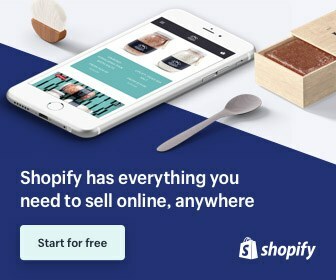 It’s really ridiculous how many adverts pop up. It gets really annoying. 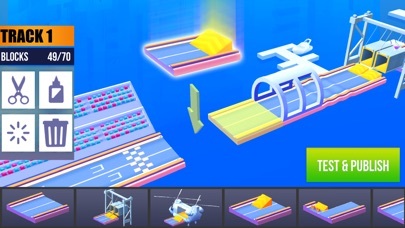 The game allows some users to create their own tracks, which is cool I guess, but some of the tracks people make are deliberately set to allow a certain starting position to win. It’s not cool. You start, and the left side literally just goes straight into a drop off. Or you’re racing along, there’s a wall to block your line of sight, and there’s suddenly a trap. You can’t have prepared for it, because you can’t even see it until you’re there, and it’s always a random track anyway, so you have no clue what you’re getting into. There is literally no strategy, no planning, no skill involved. It just depends on what position you start in that determines if you’re going to win. In the events, it’s ridiculous how it doesn’t matter whether you win or lose. The number of medals you win is always random. It’s stupid. You should get more medals for winning first. The strategy is to just always be playing so that you’re at least collecting medals while everyone else is sleeping or at work. You can’t catch back up by being a better racer and winning. Why are diamonds so hard to come by? I’ve collected a lot of coins. Like a lot! But they do me no good to speed the upgrades. I don’t want to use diamonds, because they are so rare. So I go with the adverts, as much as I hate adverts. Why have coins so easily accessible if they aren’t good for anything? And what’s up with the evo-coins? That whole idea is just stupid. I spent a lot of time upgrading one particular car. It was great, because I didn’t win all of the time, but I was finally able to start winning first more often than losing. Then there was a new upgrade, and suddenly all of the other racers are just as fast or faster. Suddenly they are all much more aggressive. What the heck? I can hardly ever win anymore. Even with my best car. Left a critical review saying that this game is clearly not multiplayer and deceives it’s users. The review is now magically not appearing on the page anymore. I’m afraid I’m going to have to bring this issue to Apple as this is awful and you should be ashamed of yourselves OhBibi. Jokes of developers.